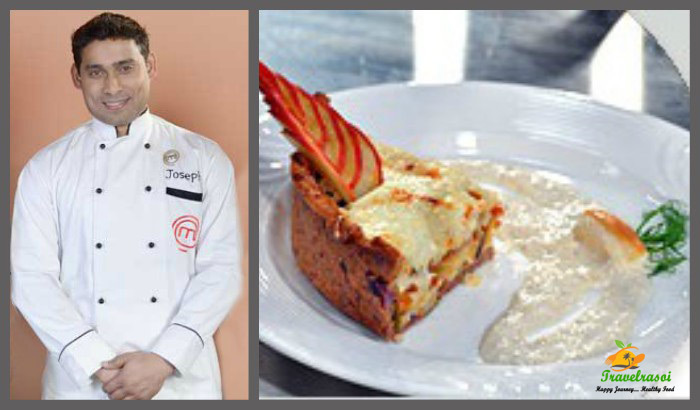 Grand Master Chef Imtiaz Qureshi is a risk taker and a trailblazer, who loves etching new lines for others to follow. At the age of 17, he took the risk of barbeque, without prior experience, and created his most illustrious dish, kakori kebab, winning the faith of General Cariappa, the first Commander-in-Chief of the Indian military. From catering three meals a day for 10,000 people at the NCC camp organized by the government,and unlocking the secrets of the Lucknow’s royal kitchen enigmas for a lay man to enjoy, to surprising Pt. Nehru at a private dinner with his veg dishes veiled under a non-veg set up, he has done it all. He may not have had a formal education, but the knowledge brimming in him is the result of his effort to bridge the gap and transcend beyond the boundaries of classroom-based learning. 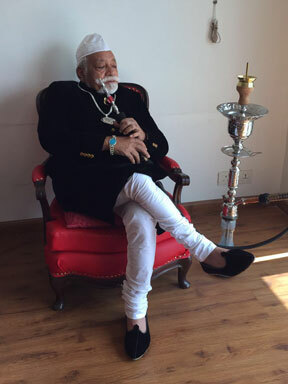 Qureshi is the Grand Master Chef who never aimed for accolades; his only wish was to rejuvenate an Indian royal and cultural cuisine, the regal Awadhi delight. 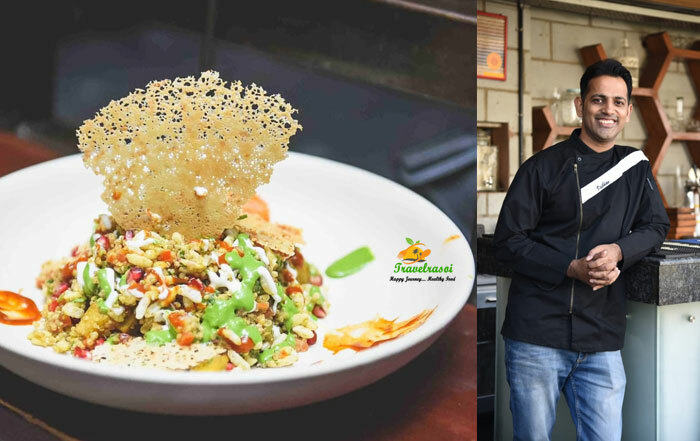 Imtiaz Qureshi’s efforts may have been recognized only in 2016, yet his humility and his zeal to create food that appeals to all the senses are among the many reasons why his disciplined life has always been revered and respected. Once such instance that portrays the personality of this humble chef is when he recently met Prime Minister Narendra Modi. Impressed by Qureshi’s exemplary skills, Modi asked when he would get an invitation to taste the Grand Master chef’s food. 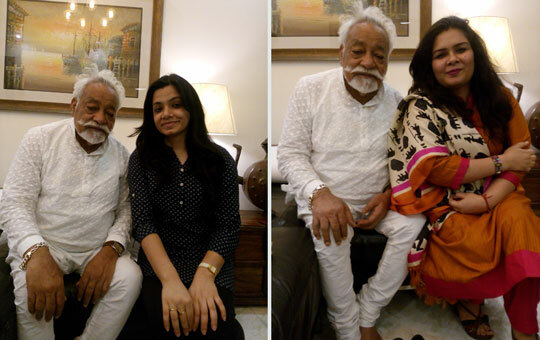 To that the genial Imtiaz Qureshi replied with a smile – “Khana to ho jaayega, par pehle main aapke saath ek photo khichwa lu” (Food can always be arranged, but first let me click a picture with you). The talks of his quest for those lost Mughal recipes, which came to be known as Bukhara, was not just confined to India, with him becoming the only Indian Chef till date to have appeared in the front cover of Newsweek. He took to cooking at the tender age of eight; and today, in his healthy 80s, when he is still seen to be actively cooking in the kitchens of the ITC group in India, he has succeeded to add another “first” feather to his hat by becoming the first Indian professional chef to be awarded the Padma Shri in the Culinary subcategory. Clad in a pristine white kurta pyjama, Grand Master Chef Imtiaz Qureshi, who was also a wrestler at one point of time, bestowed his ever-present benign smile that’s under his catchy twirling moustache, and began to recounthisinspiring journey of possibilities, inventions and fulfillment to TravelRasoi. 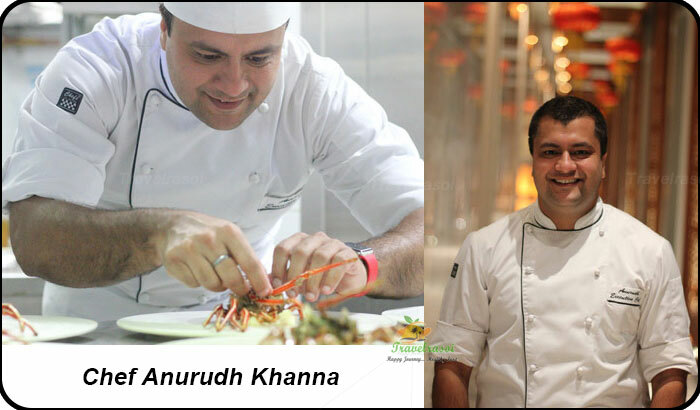 You have come from a long line of culinary experts, tell us more about your initial journey before you joined ITC. Being the son of a butcher and with ancestors who had cooked at 22Awadh’s royal court, I knew meat and how meat in a specific form could complement a particular dish. But my stints in the kitchen began when I became my uncle’s apprentice at the age of seven, right after the death of my father. My initial days began with the menial jobs and with time I gradually learnt the art of cooking. Things took a positive turn and more and more people approached me to cook during weddings. In 1962, I even got the chance to cook at a state banquet hosted by CB Gupta, the former CM of UP, when he appointed Krishna Caterers to arrange the food. Pt. Nehru, Indira Gandhi, Zakir Husain and Lal Bahadur Shastri attended it as guests. The catch of the dinner was that everything will be vegetarian yet must appeal to a non-vegetarian’s palate. Having never been much involved with vegetarian cooking, I was not so sure about the outcome. However, at the end of the day, I was able to serve them bottle guard musallam, which resembled a Fish Musallam; a jackfruit musallam, which resembled Chicken Musallam; and there was the shammi kebab, which was nothing but kebabs made out of lotus stems. In all, my days have been pretty interesting. When you joined ITC, how did you come up with the idea of “Dum Pukht.” Could you take us through that initial phase of research and implementation, and the challenges that you may have faced? Dum Pukht as a method of cooking is almost 200 years old, however, with time it got lost. I was always fascinated by this cooking method. “Dum” means steam, and “dum pukth” literally means to choke off the steam. So, as you slow cook a dish, you allow it to be cooked in its own juices. I had been researching on the dishes, trying to master the unique spices and create the aroma, which is key to it being a memorable culinary experience. It was during this time, I remember Ajit Haksar, the first Indian chairman of ITC India, asking me to prepare the menu for some upcoming restaurants in his hotels, and that is when I designed the entire menu of Bukhara within a day despite running a fever at 104F. Among those dishes, was the Dal Bukhara, which is still one of the favorites. However, it wasn’t easy to set up the required ambience. The five-star methods in the earlier days wouldn’t approve cooking in copper utensils, but I was more comfortable and hence with much deliberation with the management I was able to buy my own copper utensils for my kitchen. I arranged my set up outside the regular kitchen to create the flavors that sit best in the dish. You have been a part of the hospitality industry since Pandit Nehru’s time, what are the key changes you have seen in cooking styles and how did you adapt to the change to keep up with the times without risking the authenticity of the cuisines. Today, what’s commonly called Mughlai has very less resemblance with the real flavors. Being a person who always believes in the authenticity of this age old, almost lost, culinary treat, I have always wanted to create the flavors that bring in the most craved aromas. It’s all a play with the senses, where with the beautiful aromas, your biriyani will taste best. I have till date cooked 500 types of biriyanis in different proportions to cater to different palates. For instance, while ideally biriyani is cooked with a minimum of 500 grams, I once cooked 200 gm-portion of biryani to cater to a single person. With time, we must bring changes to the kitchen yet not all things change. For instance, the menu that I had set for Bukhara is still unchanged. The same is for Dum Pukht. I have also seen that today the training methods are very open and recipes are hardly kept a secret. However, during old times, there was a sense of insecurity that made chefs hesitant to reveal the core ingredients of a recipeto their trainee or even document their spices somewhere in a written format. Thus, most of the time, I had to learn on my own and create dishes based on research and observation. You have catered to the different tastes at every level of the society, be it traditional wedding food, food for the soldiers or fine-dining food in a five-star ambience. Would you like to share any instances from your catering days to the jawans. It was during my catering days, when I got a chance to cater for 10,000 jawans of the NCC camp. I had handled grand weddings, but catering three meals per day without electricity and ideal utensils is a memorable feat. It is then that I got to meet General KM Cariappa, who wanted a special dinner with barbeque-based dishes. I had never seen nor knew anything about barbeque and had no idea on how to take it forward. Yet I did not give up. With some help, I was able to understand the barbeque process, and was able to barbeque some good kebabs, including kakori kebabs, at the end of the day. Tell us what is your current professional life is like. Today, be it Ambani’s family or the Kapoor family, any of the top families of India wants us to organize the food at their big events. People love the cuisine, so it’s all about keeping the standardized taste and to bring in something new. The best part of the ITC group is that there is never a time when you don’t learn. It is one of the factors that made me stick with them all along the years, despite the number of offers from the other big brands. How was your childhood? Do you have any home-made favorites that make you nostalgic? I grew up in a family where almost everyone had a hand in the cooking as our forefathers were an integral part of the Mughal kitchens. The family weddings are nostalgic, wherein we would only cook one main dish, which would either be a biriyani or a green lentil-based daal gosht. The dish is prepared in bulk and for three days, the same is eaten. Do you still cook at home? What’s your favorite ghar ka khana? At home, it’s my wife who would cook. She too belongs from a family of chefs and there’s never a dish that’s not delicious when she cooks. There are very few occasions when she lets me cook, and those happen only if there is a special request from our children. At home, I love to eat biriyani or home-made kushari. What do you feel about fusion food? I am not much of a fusion food enthusiast as I love to keep dishes authentic or as close to it as possible. When you are not cooking or managing the culinary activities, what do you like to do in your leisure time? Whenever I am free, I like to go for a walk on the Carter Road, Bandra West, catch up with friends, and of course read Namaaz. Last, but not the least, how are you feeling about the Padam Shri? I am very ecstatic about this. I had been hopeful for a while and getting it finally is a different feeling altogether. What would be your message to upcoming chefs or chefs in training? They must be focused. Hard work is a key to learning and expanding one’s horizon in this industry. Despite all the trainings, one must always remain open to learn. To step ahead, you have to observe the changes and plan your activities around it. 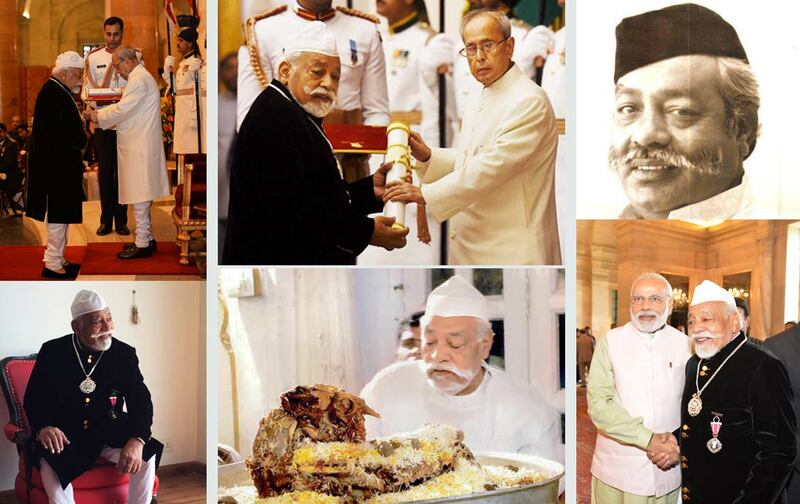 Share the post "The Rasoi King’s Royal Food Journey From A Teenaged Caterer To Padma Shri"